SOME TIME AGO I was commissioned by a broadcasting organisation to record some very specific street sounds of Paris. They sent me a recording brief and when I read it I discovered that amongst the many other sounds they wanted, I was being asked to make a recording inside the Musée Carnavalet in the rue de Sévigné. I had mixed feelings about this. The Musée Carnavalet is a museum I know well and visit often … but what on earth is there to record in a museum that could possibly be of interest to an international broadcasting company – and to me for that matter? The Musée Carnavalet is an absolute gem. 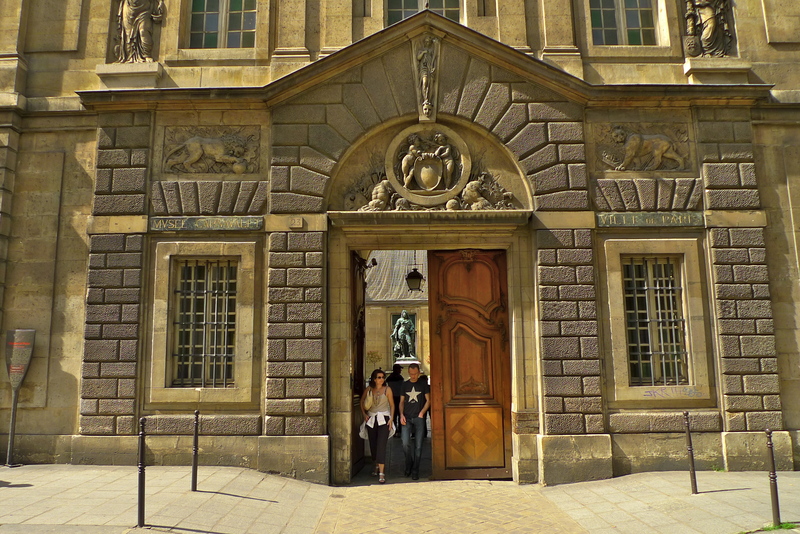 It is a museum dedicated to the city of Paris and entry is free. It occupies both the former Hôtel Carnavalet and the former Hôtel Le Peletier de Saint Fargeau. 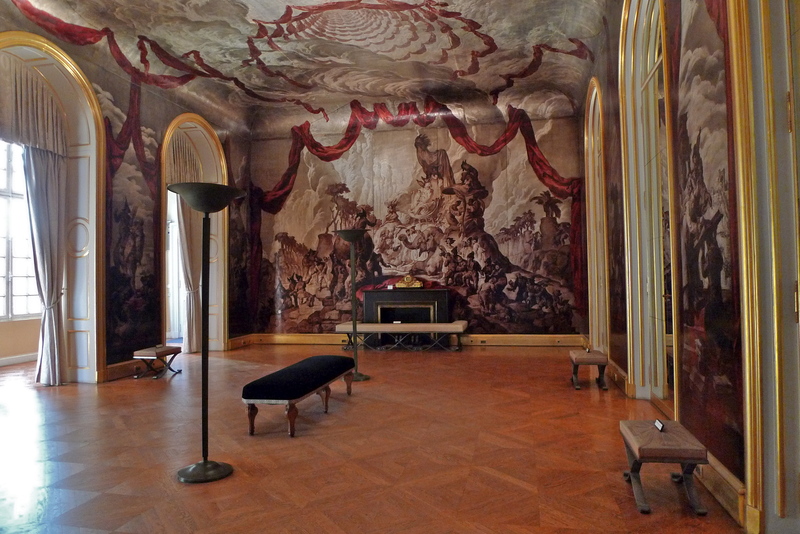 The notorious socialite, Madame de Sévigné lived there from 1677 until her death in 1696 and so it was in her shadow that I entered the museum to embark upon my task. This proved to be an interesting experience. On my previous visits to this museum I had been engrossed with the exhibits, looking at them and reading the texts associated with them, trying to understand them and putting them into context. The history of the Paris fascinates me and so my visits have always been enjoyable and I have come away feeling that I know much more about this wonderful city. But this visit was different. I was working, hunting for sounds – the sounds that characterise this museum, the sounds that distinguish this museum from any other museum. Seek and ye shall find! In my experience, the distinguishing sounds are always there – it’s just a matter of perseverance, the thrill of the chase and finding the quarry. And here it was – a creaky wooden floor. This floor was laid by craftsmen who would have ensured that it was inch perfect and totally silent. 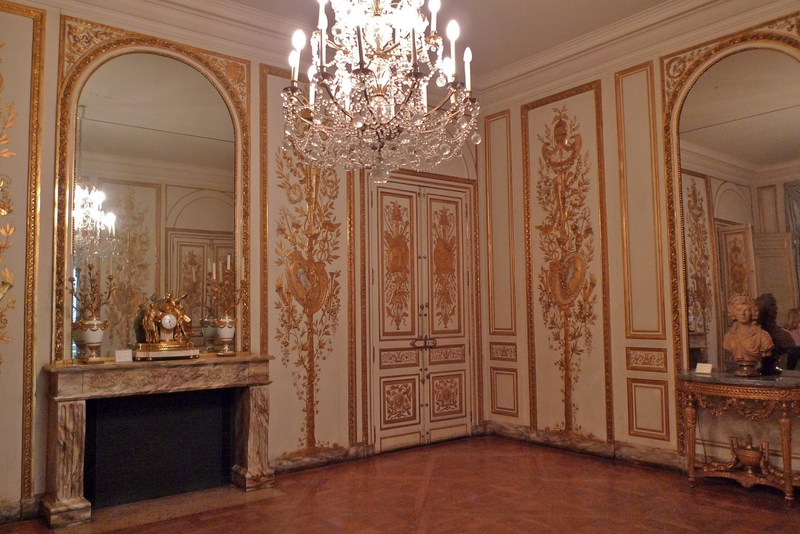 Madame de Sévigné would have tiptoed across this floor oblivious to the fact that that it was even there. But today, it lives and breathes. Age has taken its toll, the cracks have appeared and we are left with a wonderful sound legacy. 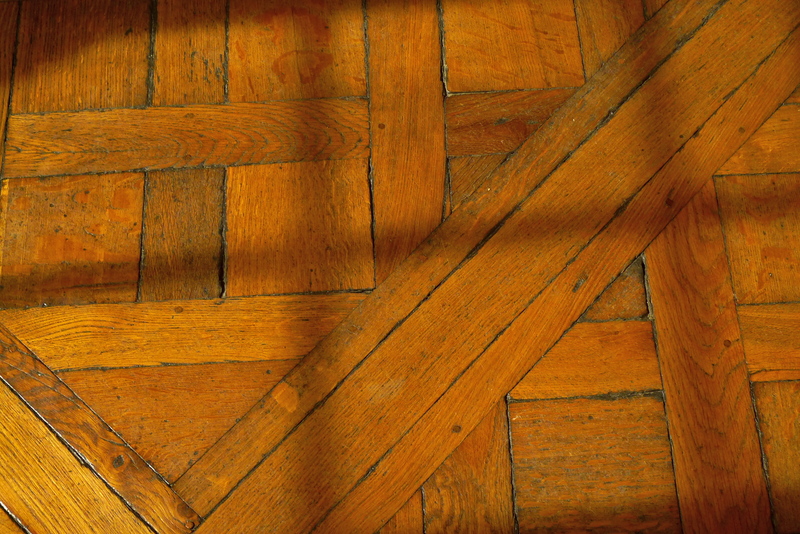 For me, this wooden floor and its sound is just as much a part of the history of Paris as the exhibits that surround it in the Musée Carnavalet. ha that is wonderful! i tried but i would never have guessed the floor. i was imaging docent whispers or something. you are teaching me to listen to my experiences too! thank you for all the effort and detail you put into these posts. between you and peter’s paris i am learning and experiencing the city until i can finally get there.